Includes the names: T. Pynchon, TOMAS PINCON, Thomas. Pychon, Thomas Pynchon, Thomas Pynchon, Thoomas Pynchon, Thomas Pyncheon, Thomas Pynchon's, Thomas) (PYNCHON, Thomas). (Pynchon ... (see complete list), Томас Пинчон, トマス ピンチョン, トマス・ピンチョン, Thomas Ruggles Pynchon, Jr.
Oakland - The Diesel Readers discuss "Inherent Vice"
Diesel, A Bookstore in Oakland welcomes The Diesel Readers back to the store to discuss Inherent Vice by Thomas Pynchon on Monday, January 27th at 7 pm. Psychadelic romp mixes with film noir, with all the typical paranoia of Pynchon thrown in because of course. Our hero is private eye Doc Sportello, who gets wind of a plot to kidnap a billionaire land developer when Shasta, Doc's ex-girlfriend and the victim's current girlfriend, has second thoughts. But as soon as he pulls himself (momentarily) from his marijuana-induced haze, Shasta vanishes, and he finds himself framed for murder and pulled into a bizarre tangle of oddball characters, motives, and passions. Thomas Pynchon , Inherent Vice. 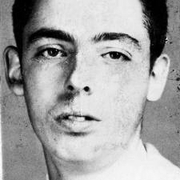 Thomas Pynchon is currently considered a "single author." If one or more works are by a distinct, homonymous authors, go ahead and split the author. Thomas Pynchon is composed of 16 names. You can examine and separate out names.